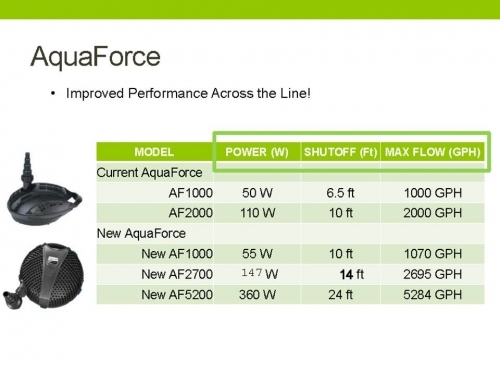 The Aquaforce Asynchronous, Solids-handling Waterfall and Filter Pump provides flow-rates up to 1,070 gallons per hour and is ideal for use in ponds, waterfalls, and other water feature applications. 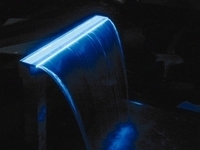 he pump’s Asynchronous motor technology is extremely energy efficient, saving hundreds of dollars over traditional water pumps. 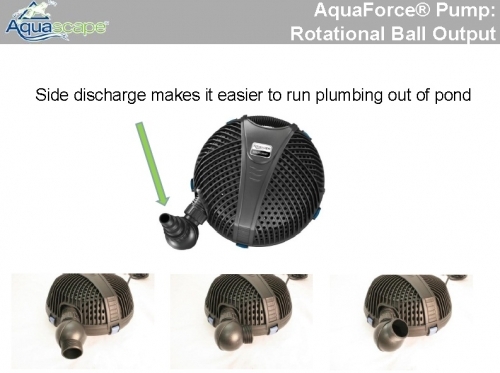 Its oil-free design and high-torque performance will provide years of trouble-free operation, while the protective pump cage will handle solids up to one quarter of an inch, preventing clogging and reducing maintenance. 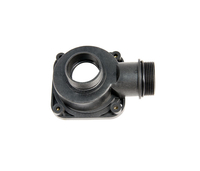 A variety of fittings is included for simple installation, including a rotational ball output which allows the discharge position to be easily adjusted for simple installation. 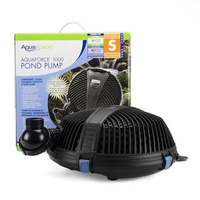 This is the perfect pump to drop in a pond - unprotected - for pond owners who do not have a skimmer. 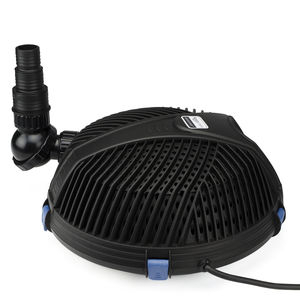 We recommend this pump for keeping a hole in the ice in the winter and for use with a Pressure Filter. 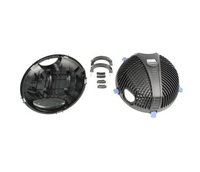 The Cage can be removed and the 1/5" Female Thread can be used on the Intake. 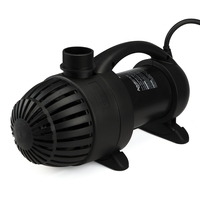 How can I hook up my AquaForce Pump to 2" Black Flexible PVC? 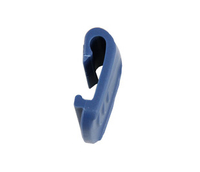 Flex PVC will not work with the adapters that are included with the AquaForce pumps. 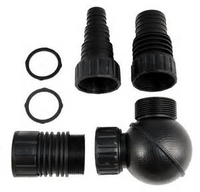 They would need a 1.5” FPT x1.5” FPT Elbow (#99562) & a 1.5” MPT x 2” Slip fitting (#99144) to make the flex PVC work. 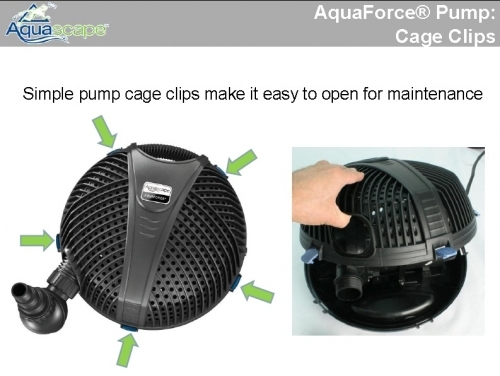 Can the AquaForce be used on it’s side? Yes, but you just want to have it completely submerged under water when in operation. 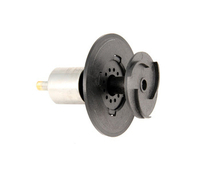 Generation 2 pump. 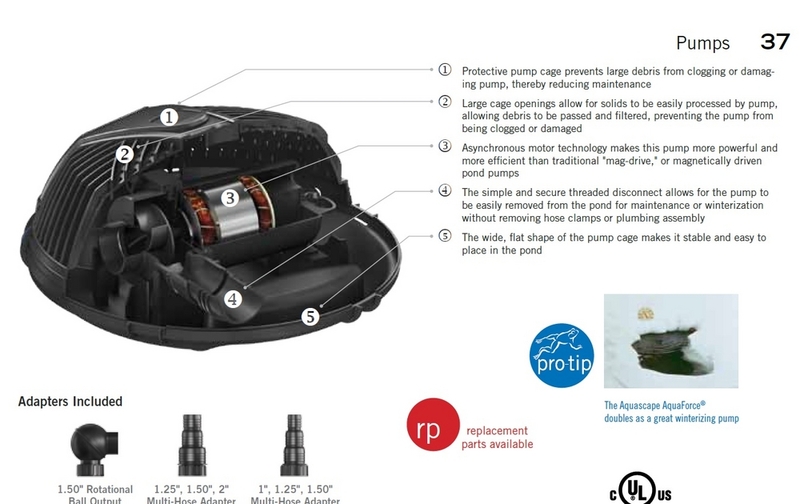 The perfect pump to drop in a pond unprotected. For ponds without a skimmer.